Autumn skin care has its own set of rules. 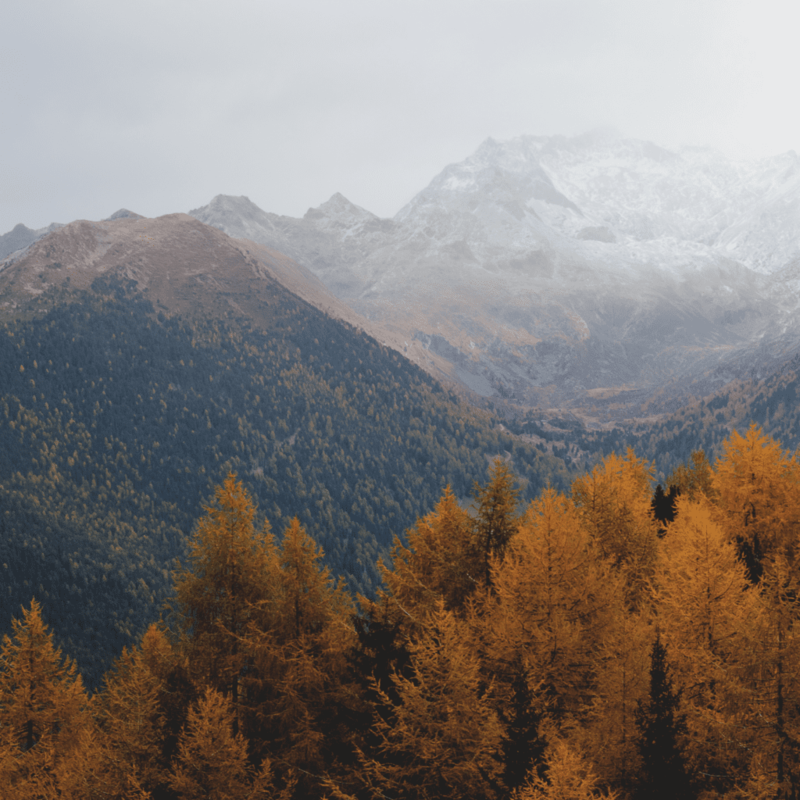 To enjoy all that autumn has to offer (without worrying about your skin), check out this guide to know exactly what to watch out for when the leaves start to change. AUTUMN CONGESTION & ACNE ALERT! While most think of summer as the season that brings on breakouts the heaviest, autumn isn’t far behind! And for some, can even worse than the summer! Why? Because all the extra oil pumping action our skin experiences during the summer months hasn’t slowed down. 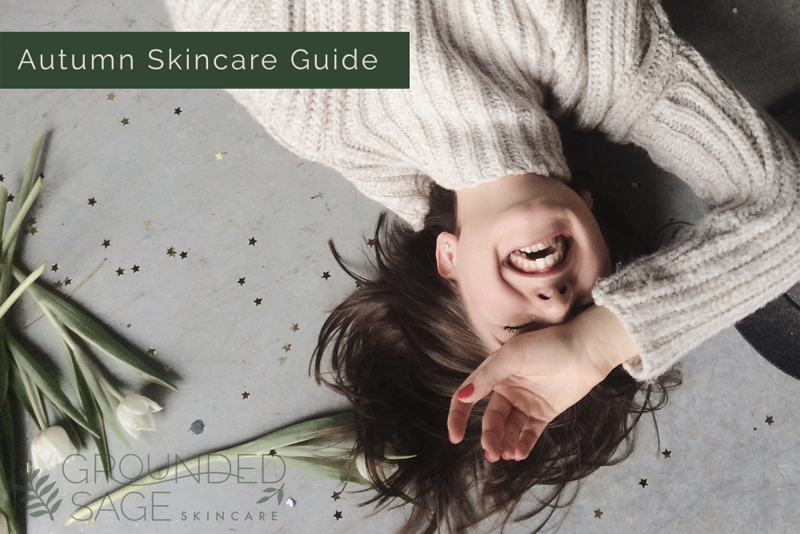 Yet, there’s an added twist that we don’t see during the summer – the cooler weather and drier air have our skin developing a build-up of dead skin cells. This buildup interferes with the oil getting to the surface of our skin unobstructed. Obstructed oil means oil that either it doesn’t reach the surface at all (gets trapped in our pores!) or it’s seriously slowed down, creating congestion. As we know from previous posts (How to Pick a Cleanser for Acne Prone Skin) and broadcasts (Check out all our broadcast replays on Facebook here), bacteria will come running when oil starts collecting in pores. Alas, the perfect conditions for acne are created! What’s the best way to counteract this effect? The solution is multi-faceted – slow down oil production, and remove the buildup of dead skin cells. Here are some tips to get you started! This can be done by using cleansers and exfoliators with fruit enzymes like pineapple. If you’re not using the right cleanser for your skin, the buildup can become worse AND oil production can increase. Why? When a cleanser is used that’s too harsh or too drying, the build-up of dead skin cells is increased which reduces the ability for hydrators and moisturizers to absorb into your skin. This can produce other problems like low levels of hydration (either due to a hydrator not being absorbed, or a damaged / underperforming lipid barrier. Your lipid barrier is what your moisturizer repairs, replenishes, and when needed, replaces while your natural barrier is rebuilt. When hydration is low (aka Transepidermal water loss (TEWL or TWL) is happening), our skin can respond by producing more oil to stop the loss. Basically, the skin thinks, “uh oh, my lipid barrier must be damaged because I’m losing hydration way too quickly! Bring on the lipids (aka sebum / oil)”. 2) Pump up the hydration in preparation for the cooler weather arriving. Our skin will soon feel the effects of the cooler winds arriving here in North America, and supporting the deep layers of your skin by feeding them lots of hydration is a great first step in prepping your skin for the seasonal changes and buffer your skin from the skin troubles that can come along with cooler weather, less sun, and the furnace pumping out dry air. Want to learn more about why & how to hydrate your skin? Check out this article for acne prone skin, or see all our hydration articles here. 3) Seal in that hydration! To get all the benefits of using a hydrator in your skincare routine, your skin actually has to have time to absorb it. If it’s not given that time, the hydration will simply absorb into the air instead! Sounds a little unproductive, doesn’t it?! To protect all your hydrating efforts from vanishing into thin air (or autumn air as the case may be), seal them in! My recommendations for this is to approach “the sealing” in 2 different ways: daily and weekly. 4) Increase the amount of exfoliating you’re doing, but be GENTLE! Many find that because of the heat in the summer, exfoliating regularly is a no-go! When we enter autumn, our skin’s reactivity and general sensitivity usually calm down and we can start exfoliating more. If your skin doesn’t take well to exfoliating during the summer months, remember this for next summer: exfoliation doesn’t have to be done with scrubs, or friction. It can be done with a completely smooth, calming, gel (Check out our Pure Amore Gel Cleanser) or a specialized facial toner (Check out our Congestion Protection AHA Mist). Now that we’re all on the same page (each one of us can find a way to exfoliate that works for our skin), reducing the build-up of dead skin cells that will start to develop as the air gets cooler, exfoliating should be a regular part of your routine. For each of us the “how often” will vary. For some like myself will be able to gently exfoliate (and should!) each evening. For others, once a week might be a better fit. Either way, listen to your skin. If it’s not feeling so great after even a gentle exfoliation, pair back how often you’re working it into your routine. Take a look at this post to narrow down the right exfoliation method for you (or take our quiz). 5) Acne-prone and congestion-prone gals: Get a boost from fruit enzymes! If you battle congestion, dehydration, acne, blackheads, or textured skin on the regular, counteracting autumns effects will require the help of something special to give dead skin cells their ticket off your face. A targeted AHA product is the special helper that will turn things around. You may have heard of AHAs referred to as enzymes – like the pineapple enzymes in our Pineapple Facial Scrub, or the team of botanical enzymes including sugar maple, pumpkin, licorice, bilberry, and more in our Pure Amore Gel Cleanser and Congestion Protection AHA Mist. … and clean out areas of our skin that physical exfoliants (like scrubs, washcloths, and facial mitts) can’t. AHAs are amazing in a clean skincare routine because not only are they plant-based, but they are so much more gentle than their traditional counterpart, BHAs. 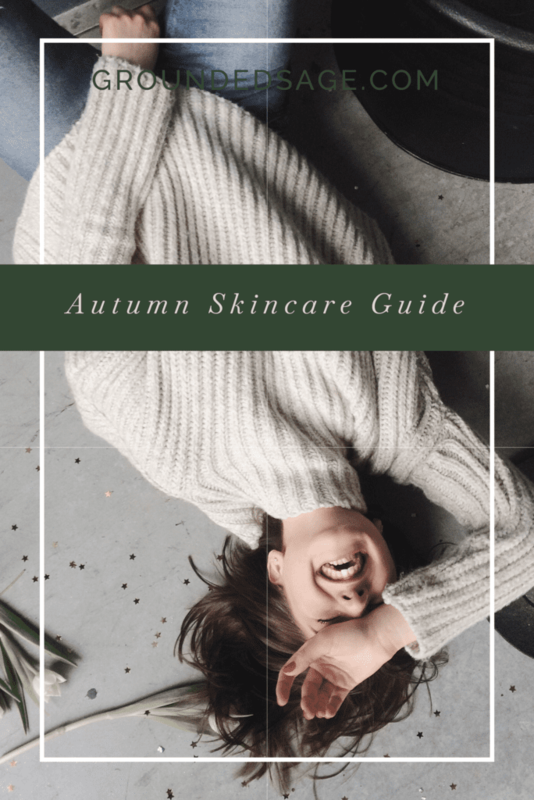 So, when it’s time to get rid of a buildup of skin cells, like when autumn rolls into town, AHAs can be the ingredient that your routine needs to get the job done. If you’re new to natural skincare, experience congestion or breakouts, or are still using products with congestion inducing ingredients, the fastest way to get a dose of AHAs to help break down the “skin crust” (my term for the buildup), a leave-on facial toner is the best way to go. Why? Not only will using a leave-on product allow the AHAs time to do their vital work, but using a leave-on facial toner puts the power of AHAs at the start of your routine – right after you’ve cleansed, so you’re fresh-faced – which means the AHAs won’t have to work through any products before starting to go to work on your skin. The AHAs also get protected from the outside world when you apply a layer of moisturizer, allowing them to work uninterrupted. Feeling like a leave-on facial toner packed with AHAs (as well as calming chamomile) might be what your skin needs as much as pumpkin needs spice? If you said yes, head over here to meet our green beauty version. 6) Finally, double check that you have a complete, balanced, and supportive routine. Each season, it’s good to review the products we’re using, how we’re using them, and whether or not we need them in our routine! For help with this, check out our Foundations of Skin Care Series or, to quickly build a routine, head over to our Routines Resource Page and take the 3 quizzes listed – the results will give you a basic routine to start with. If diving in deep is more your style, grab our Routine Building Workbook. 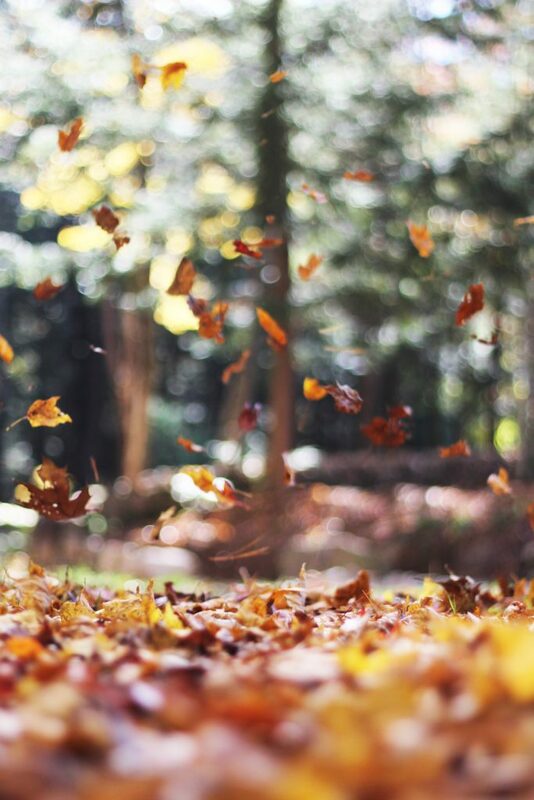 Now that you’ve got your autumn skincare on lock, it’s time to enjoy the beauty of autumn. 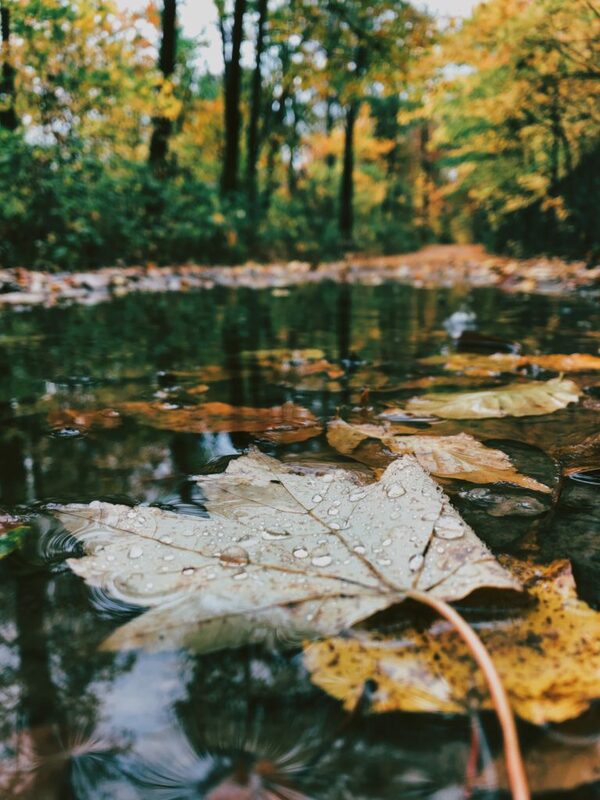 Throw on that favourite hoodie, grab a cup of pumpkin spiced tea and go for a hike amongst the changing leaves.